Disclosure: Affiliate links are used in this post. All thoughts and opinions are my own. Read full disclosure here. Have you ever asked your parents "who is the favorite in the family" and got the response, "you are all my favorite?" 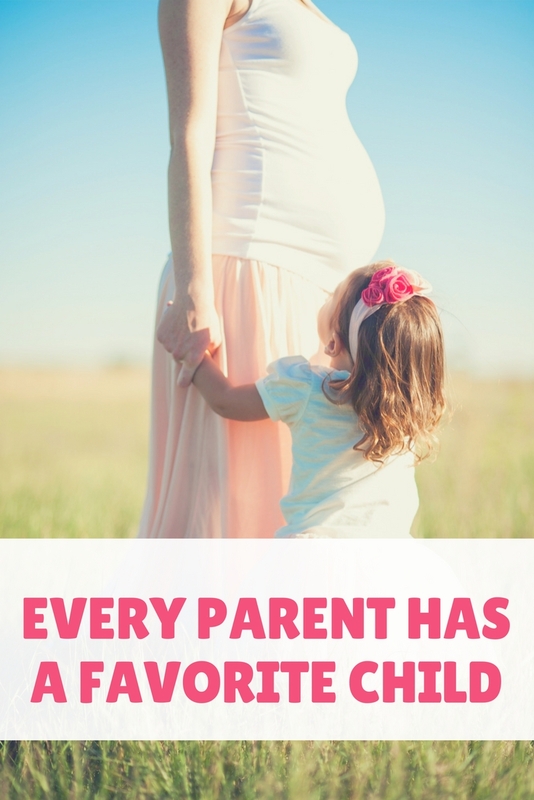 Well, the harsh truth is that every parent with more than one child is going to have a favorite. There is nothing wrong with having a favorite child. Favoritism has been around since biblical times, Abraham and Sarah (Genesis 21:9-15) and Isaac and Rebekah (Genesis 25:28), are two parents that played favorites. It is human instinct or mother nature for parents to have favorites. It is like "Sophie's Choice," in tough decisions, you might have to choose one over the other. No two children are the same, you are bound to become more attached to one. Your favorite child can also change as they age or as certain situations arise. Change - Going from life without a baby to having a baby is a roller coaster ride. The problem with favoritism is when you openly say or show that one of your children is preferable over the other. It was obvious when my parents preferred one of us over the other. I am pretty sure my sister was the favorite when we were younger, as she was the baby. She got away with everything and I got that "you're older, you should know better" lecture. Then it switched when we were older due to my sister's rebellious behavior. Now that we are out of the house, it is not as easy to tell who is favored, which is the point: It should never be obvious to the children who is the favorite. "Parents can increase the likelihood that all their children benefit from favorite child status while simultaneously minimizing the potential emotional scars of the position. First, parents must accept that favoritism exists in all families. It is neither good nor bad. It just is. No two children are identical and no two parents are identical, and so, preference is inevitable. Second, all family members must feel safe to freely express their feelings about favoritism. Even as adults, siblings often carry childhood tensions stemming from feelings of who in their family was loved more, or who was favored. Family health is promoted through healthy discussion. Favoritism exists, you can deny it all you want, after all, that is kind of the point, but even if you deny it, your children can often tell by your actions. My parents denied having a favorite, but it was obvious, to me, that they were playing favorites. Hiding it can be hard, so I like Dr. Ellen Libby's advice of being open about it. At least then you are being honest about it, which I think is healthier than denial and lying. Favoritism is one of the reasons why I lean towards only wanting one child. You can't favorite another if you only have one! I also recommend reading The Favorite Child: How a Favorite Impacts Every Family Member for Life by Ellen Weber Libby. Washington Post - Is it okay to have a favorite child? What a great post! Everyone does deny it! Even if this is true, it's better to admit it (to yourself at least) than to deny it. You can still treat your children with equal love and support. I really agree. It's okay to have a favorite, but it's not okay to show that favoritism to the kids. It's really unfair, because you should love them all and let them all know they're loved equally. Great post! I definitely think it's ok to have a favorite (in your head) but you definitely don't want to make it apparent to the kids! Very interesting post! I only have 1 child so I won't have to worry about hearing that I like one more than the other, lol. I do have a younger sister by 8 years. There are/were times that I sensed there was favoritism going on but not so much that I can honestly say there were more than 2 times that I felt this way. Great post! My siblings and I always joke my mom's favorite is my brother. Hes the only boy and the oldest. She tries to deny it but we've all come to the conclusion that its okay. This is a fabulous post! I don't have a favourite child at all but this makes total sense. This is so interesting. I definitely think I favor different kids at different times and I think personalities play a role in who we get along with too. Very interesting read. I honestly hadn't noticed myself having a favorite, but both of my kids are very young still. Interesting post, I was an only child and I still think they are waiting for their favorite to be born! Very interesting post I was the only child growing up and I also have one child myself as I could not have another. I could have seen myself in this position. Is Marriage is Just a Piece of Paper?